Hello all, it’s a pleasure to be back with you so soon. I’m super excited to be writing about expanded today, because I have found it to be a breathe of fresh air after playing standard for so long. Today, I’m going to be bringing you quite a few decks, most of which are definitely rogue. I really enjoy creating decks in this format because there are just so many options and no one matchup forces me to completely write off a deck. There are just so many great options due to the ridiculous amount of cards available to us. Throughout this article, I will refer to Zoroark, Buzzwole, Sableye, and Trevenant BREAK as, “the top tier decks,” because that is what I consider the decks to beat going into Portland. I also attempt to avoid writing about anything that absolutely requires Tropical Beach, and if it is in a list, I will generally suggest replacements for it. Quite a few of the decks I am bringing to you today have been around for a long time as more fringe plays. I’m here to tell you that they have gained new viability due to the recent bans. The first of these is Medicham PRC. Medicham has always been a cute concept, being able to attack twice is truly a great gimmick. However, with the release of cards like Diancie Prism Star and Hustle Belt, Medicham can hit for numbers higher than ever before. This is the list that I’ve been testing somewhat extensively. Cards like Shining Celebi, Diancie, Hustle Belt, and Counter Energy add an entirely new level of play to this deck. The theory is that your opponent will be forced to hit into a Focus Sash at some point, leaving our Medicham at 10 HP remaining. This is where hustle belt really shines. Because Medicham is able to attack twice, all of the damage modifications we play are essentially used twice. Between 1-2 Strong Energy, Diancie and Hustle belt, we can potentially hit 130-150 damage twice every time we attack. Of course this gets even better when we remember that if Medicham’s first attack takes a KO, then your opponent is forced to choose another Pokémon to promote and take the second attack. Shining Celebi also allows us the option of attacking using Meditite’s attack for a single energy card. All in all this deck is absolutely insane. 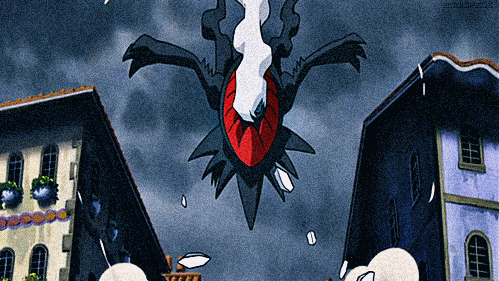 However, there is one glaring weakness of the deck: Trevenant BREAK. There is just no way to really win this match up, barring a very slow start from the Trevenant player. This is a deck that I am heavily considering for Portland this weekend. This is a deck that has seen minimal play in either format, but I believe that Lurantis-GX is actually an incredibly underrated card. Being able to accelerate energies for a single energy attack easily combats the any disruption decks running around. 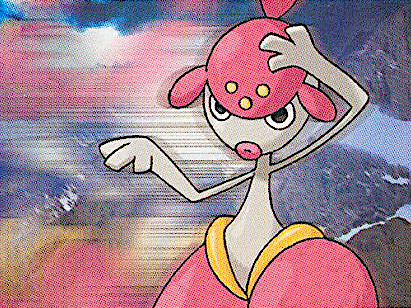 Lurantis-GX also has a second attack that heals itself, which helps the Trevenant BREAK matchup quite a bit. To handle the Zoroark matchup, we play a combination of Giratina-EX, Xerosic, Scramble Switch, and the 2 Double Energies. We also have the monsters that both Garbodors are, allowing us to hit high numbers and lock abilities. This deck beats quite a few of the top tier decks, but has decidedly bad matchups against things like Turbo Turtles and Night March(Never thought I would call Night March anything other than top tier). This is another deck that I’ve put quite a few games in with recently, and I really think it has a chance to go all the way in Portland. Another deck that has struck me as incredibly strong is Darkrai/Lance Prism Star. This isn’t an unknown concept, but I feel that it’s worth talking about. This is a relatively standard deck, and it’s been written about before, so I won’t delve as deeply into this deck. Lance is pretty insane, being able to get two dragon type stage 2’s into play for a supporter card is really strong. It has a pretty good Trevenant matchup, a winnable mill matchup, and a decent Zoroark matchup. However the deck has a distinctly negative matchup and Buzzwole/Lycanroc, Night March, and other 1 prize attacker decks. In the next deck I present to you, I attempt to remedy the Buzzwole matchup. Even with the devastating Buzzwole matchup, I feel that this deck is still very strong and worth testing. I mentioned an attempt to beat Buzzwole/Lycanroc with Darkrai. This harebrained scheme led me to construct what I feel is potentially the answer to the format we’ve been looking for. I have yet to find a deck that this list has an absolutely terrible match up against, aside from Shock Lock. Solgaleo-GX is, in my opinion, the best answer to the problem of Buzzwole/Lycanroc. Solgaleo-GX is potentially the best overall card that has been printed in a very long time. It combines energy acceleration, healing, 250 HP, and a broken Ability into one card. The inclusion of Solgaleo-GX allows us to win most any mill/denial match ups, as well as any other odd decks running around. This list may need a little fine tuning, and the potential additions to the deck include: the Lance engine, Sudowoodo GRI to make Zoroark more favorable, and a Solgaleo-GX from SUM to auto win the Shock Lock matchup. The one major nuance of the deck involves the Sylveon matchup, which explains my inclusion of a Cosmoem.You can never set up two Solgaleo at once without fear a game-destroying Plea-GX. The Cosmoem remedies this problem, but it is still something you need to be incredibly careful of in that matchup. Right now, this deck is sitting at the top of my list of plays for Portland, and barring some great discovery from my testing group, it is most likely what I will play. Just above, I insinuated that I think Sylveon is a matchup that I’m worried about/have tested extensively against. I personally believe that some iteration of Sylveon is very strong in the current format. I personally doubted how strong Sylveon was as a deck, assuming Sableye/Garbodor was just better. And then I played it. I was blown away by how strong the deck was, but I still wanted it to have a reasonable chance of beating other mill decks. This thought is what led me to add the Magnezone line. I thought, “surely, decks like Wailord(it’s still real) can never outpace my mill if I play 2 supporters every turn.” I also included the Oranguru as an attempt to counter Sableye/Garbodor. I also attempted to counter the “bane” of all mill decks: Trevenant BREAK. I initially chose to play Vaporeon over Jolteon, citing the Turbo Turtles matchup, but switched because Vaporeon didn’t help the Turbo Turtles matchup, and Jolteon has a very nice free retreat. I personally believe this deck can, and should, beat any of the top tier decks, but suffers rather awful matchups to the energy acceleration decks in the format. You don’t scoop up your cards and move on, but they are very difficult to beat. This is currently my number 2 pick going into Portland. “Are you crazy?” and “What does Doublade even do?” — the reactions that I’ve received whenever I pitched this deck to a couple friends previously. The answer is yes, I probably am crazy, and Doublade has an attack that leaves your opponent at 10 HP remaining—on a coin flip. The deck can beat everything other than Trevenant and probably Sableye. Of course, that’s assuming you can flip a heads or 2 during the game. The theory behind the deck is strong, but Item lock hurts a lot, and the spread damage that Trevenant BREAK does kinda ends you game in 3 turns. But otherwise it’s great. In theory you can Shaymin-EX loop a Trevenant player, but in reality they just N you out of the loop at some point, and you lose. I actually feel that this deck is still a strong play, since people are going to go to Portland completely overteched for Sableye and Trevenant, which in theory removes them from your matchup spread after the first 4 rounds or so. Despite these bad matchups, I’m still heavily testing this deck, because I feel it has the potential to go very far. This is a deck that’s been on the radar for awhile now, but fell off the competitive scene very quickly. Zoroark-GX is part of the reason why it disappeared after its early success, and that problem has been somewhat remedied by the bans. Even so, we still play Fighting Fury Belts and Sudowoodo GRI to deal with Zoroark. Victini Prism Star also gives us a very strong one-prize attacker that can take a KO on almost anything in the game. Victini also conveniently shuffles all the energy cards back into your deck, which makes the mill matchup even better. The Deck and Cover into X Pokémon archetype has been around for quite awhile now, but it seems to have completely disappeared from play. Why is this? Some would say Guzma is why, others would say it just doesn’t do enough anymore. Stoutland at least remedies the Guzma problem, so I felt that this deck was worth another look, and I was definitely correct in that feeling. Out of everything I’ve talked about so far, this is the deck that intrigues me the most, yet it’s the one I’ve tested the least. The only bad matchup I foresee with this deck is probably Trevenant BREAK. I think that this deck is very strong, and not to be overlooked, because once the loop starts, it’s very hard to break it. This is the deck that I think has the most potential to steal the number one spot for my considered plays once I test this more. I’ve talked a lot about beating and losing to Trevenant today, but I haven’t yet talked about the deck itself. Trevenant is probably the single deck I’ve put the most amount of my time into testing for Portland, and that’s because Item Lock is just so broken. The potential to just win games by announcing the word Ascension feels too good to pass up. There is nothing in this game that truly auto wins Trevenant, and that is something that is very appealing to me. Currently, if all of the decks I’ve been testing end up having some glaring flaw that takes them off the table, I will end up playing Trevenant to Portland. Well there you have it, a few rogue decks, a couple old decks reborn, and a broken deck. I personally cannot wait to go to Portland and play Expanded for the first time since Virginia last year. I also fully expect some other crazy deck to come to my mind and distract me from testing what I really should be testing. If you couldn’t tell by now, I’ve played a lot of games in this format. Anyways, feel free to PM me any questions you may have, and feel free to approach me at any events. Until the next one.